New legendary mobs appearing in the wild underground! MMC utilizes a virtual currency called zingas for money. You can buy or sell from player shops or even the admin shop at spawn. Battle against waves of monsters and custom bosses in the ultimate arena fights! We have multiple arenas being setup and tested and can't wait to show you what they offer! You can upgrade classes, destroy terrain, and more! We feature tons of plots for player run shops. You can easily find a shop to buy and offer your wares to others! Head left out of spawn and follow the dirt path to the right. Admin shop offers several items which can be easily obtained, but also easier bought to help jump start your project. 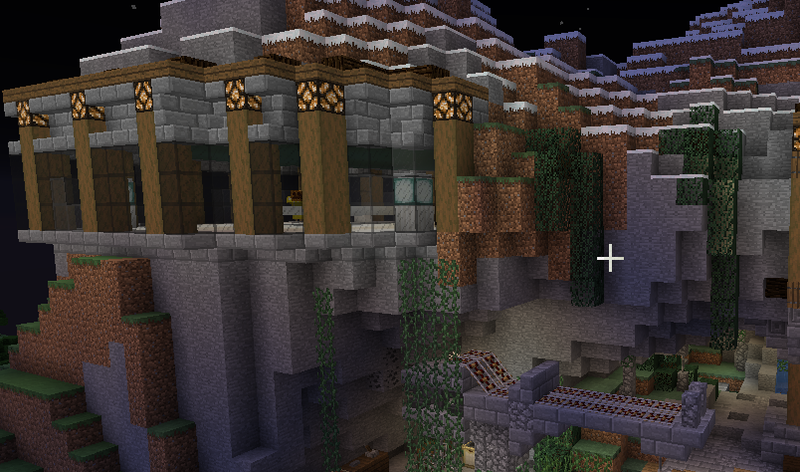 You can find it by traveling along the mountain side above market place, or /spawn and go up the stairs.